Our all time favorite fantasy castle. A generous jumping area and high ceilings make this unit another classic. 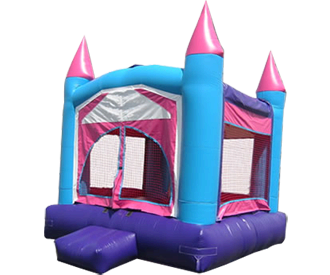 This castle is popular with all the girls and is sure to bring about an afternoon of fun and games. This one also comes with an entrance step so everyone can get in and out easily.